I have some major Facebook sorting to do. I am tagged in (brace yourself) 1,164 photos. Preposterous! Admittedly, most of the photos I’m tagged in are my own and a large proportion are a direct result of my 7 months of travel this year. I also have high security settings so not everyone can see all of them. I only wish I could forever remove the ones I’ve untagged myself from! There are plenty to pick from that show me having fun, but there is one in particular that I like a lot. 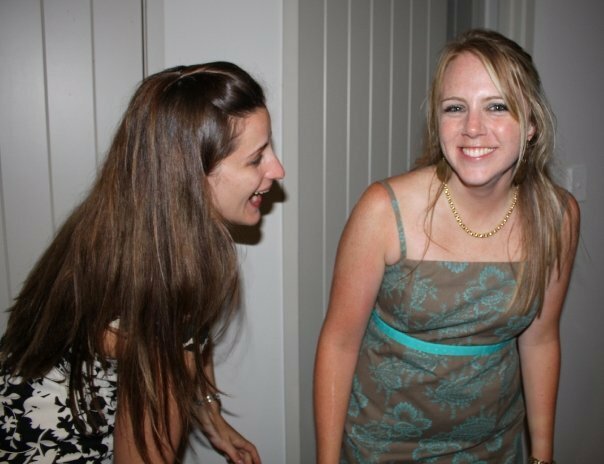 My friend Kendal and I are laughing, it’s all very spontaneous and if I recall correctly it was taken at about 3am after a friend’s wedding. We were having cocktails, there was someone with a horse mask floating around and my friends are generally very entertaining so it’s no surprise that I remember it as a good night!